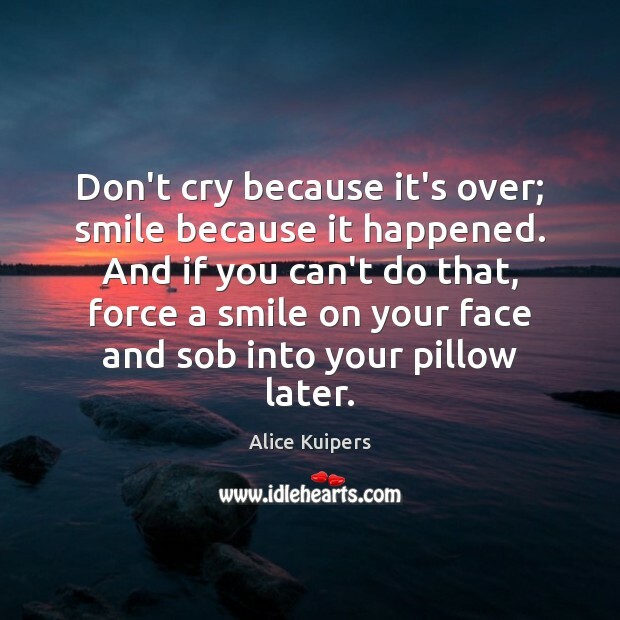 Enjoy the best inspirational, motivational, positive, funny and famous quotes by Alice Kuipers. Use words and picture quotations to push forward and inspire you keep going in life! Don't cry because it's over; smile because it happened. And if you can't do that, force a smile on your face and sob into your pillow later. 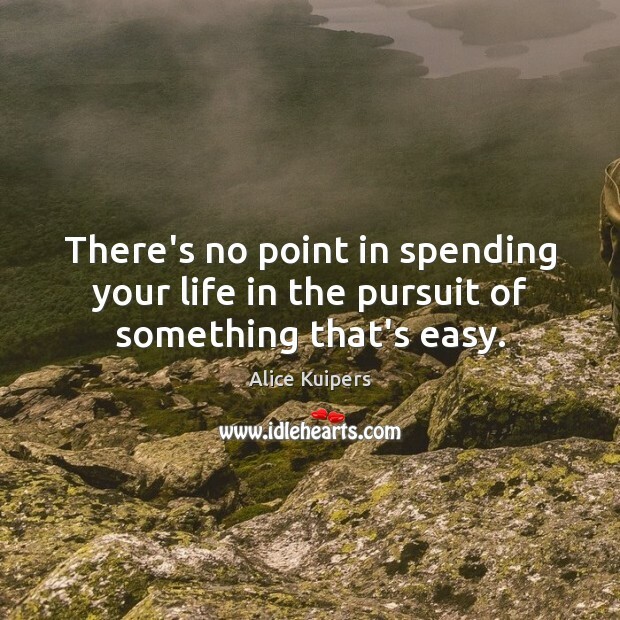 There's no point in spending your life in the pursuit of something that's easy.